Foam Cutting as an insert in boxes, drawers or similar containers. 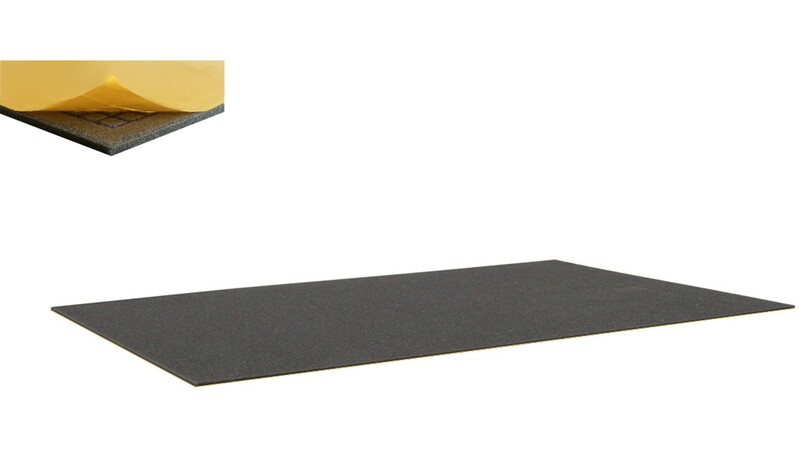 This special thin 5 mm foam pad is designed for lightweight cushioning requirements. Additionally this foam is self-adhesive on one side. So it can be fixed to clean surfaces in vertically and horizontally orientation.